Table is 60" long, 30" wide and 22" tall, perfect for birthday parties and weddings for the little ones. It will seat 8 to 10 children. 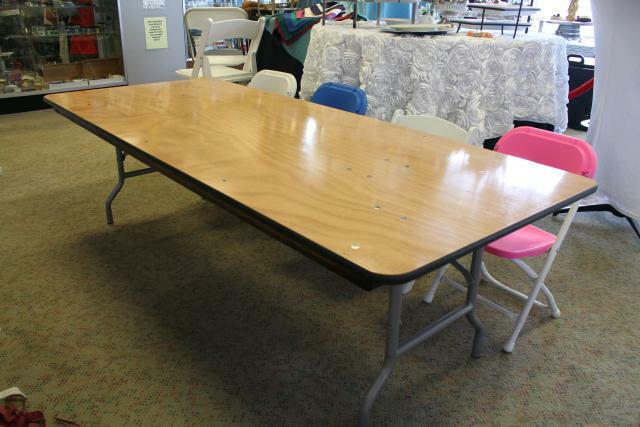 * Please call us for any questions on our table banquet 6 foot x 30 inch childrens ht. rentals in St. Helens OR, Scappoose and the South Columbia County area.